Fall is here. The 22nd of September was the first official day of fall and since then it’s been a whirlwind of turning leaves as well as preparing decorations for Halloween. You might also be considering how to prepare your home for the colder weather. Even though we just reached autumn, it’s not a bad idea to start preparing your home for staying warmer. 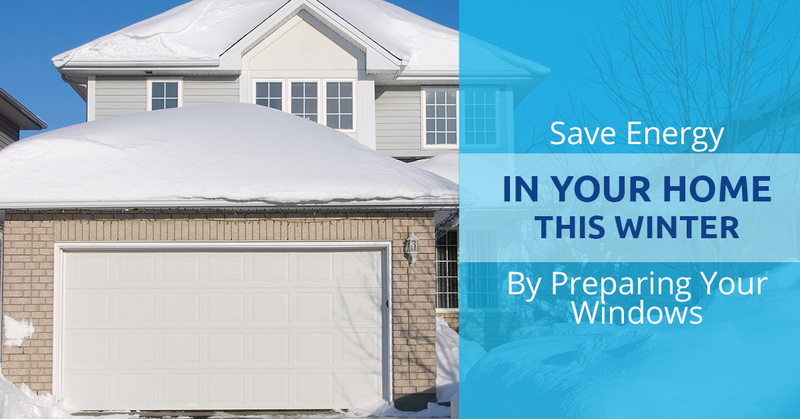 First, ensuring your home is ready for winter will save your energy, which saves you money. Everyone likes saving a little money, especially when the holidays are fast approaching. To help you save money and energy, we’ve compiled a few suggestions on how to help you get ready for winter. With these tips, we’ll help you prepare for winter time. The colder weather doesn’t just mean bringing out those wool sweaters, heavy pairs of jeans, and fuzzy hats. It also means making sure your home is prepared for what Mother Nature is going to bring. This can mean checking the interior or the exterior of your home. The tips below are geared to help you determine the best way to check your home to ensure you save money, stay warm, and don’t waste energy. As a window washing company, we want to help you prepare your home for winter the best way we know how: by checking your windows. Our window washing services have you covered on cleaning the windows; however, it’s not just the glass panes that you need to be aware of, but the dirt and debris on the sills as well. When you don’t take the time to clean the windows, sills, and everything around the windows, then there can be a buildup of sand, dirt, leaves, and other debris. These debris particles will get caught in the windows and your doors, which can move them around and not keep your home as insulated as previously. To save energy, you need to clean the windows to create a tighter and more efficient seal around these portals. One of the services at Pro Clean Windows is residential window washing, which means you don’t have to worry about having a beautifully clean window, but one that’s flawless and keeps the heat in. Once you’ve cleaned your windows, take note of the sealant around the windows and the doors. If you notice that you can feel air coming in through the areas, then reseal the windows and the doors around the areas where the air is coming in. When your windows and doors have been uncovered, you should reapply sealant or caulk to reduce the leaks of air coming in and out. This will help you save money and keep your home warm without drafts infiltrating through the cracks. Now, it’s time to check out the outside of your windows. By looking around the exterior surfaces, you’ll identify any areas that need to be repaired or replaced. With deterioration, cracks, and damage, cold air can be coming into your home as well as moisture. The moisture can lead to mold and the cold area can lead to a cold home and high utility bills. Check out the exterior of your home closely to see if there are any leaks or damaged wood. Keep your home comfortable this winter when you hire a window washing service to prepare those glass panes for the cold season. Continue reading our blog for more tips and tricks to save money, time, and your energy.